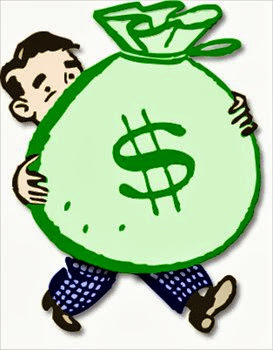 myblackfriendsays.com: I got assaulted by the police, and all I got was this big bag of money. I love all of your suggestions. Particularly making it easier to fire cops. I'm paraphrasing because I don't want to distinguish between good cops and bad cops. They are all imbued with discretionary authority and like all power, it is bound to eventually corrupt. That is why Citizen Review boards are such a potentially great idea and it is of equally little surprise that the police are their biggest obstacle. History is replete with examples of why the watchmen should not be allowed to watch themselves. White police will be remembered by history as the American SS. Outstanding post. My only comment is that I think more people should read it. This blog is so much better than 99% of the drivel that counts as media these days. On the last page of the CPC Truth and Justice Report are their "Denver Specific" recommendations for policy changes. They seem to me to be very well considered. I especially like the one about Community Policing. It is a model that has been used very effectively in the public housing development in Sunny Side (NW Denver) by the District 3 police whose home is across the street. In that model crime goes down because the community will not tolerate it. Police spend a large part of their time organizing the neighborhood and developing trust relationships, teaching citizens how to use them to control their own neighborhood. They do not spend their time stopping young men of color who are walking down the street ":looking suspicious".